The questions below are the standard questions that will appear on all myExperience student surveys. 3. The course resources helped me learn. 4. The assessment tasks were relevant to the course content. 5. Overall I was satisfied with the quality of the course. Faculties can add two additional questions to the survey and course authorities can add one additional question to the survey. 3. Overall I was satisfied with the quality of this person’s teaching. 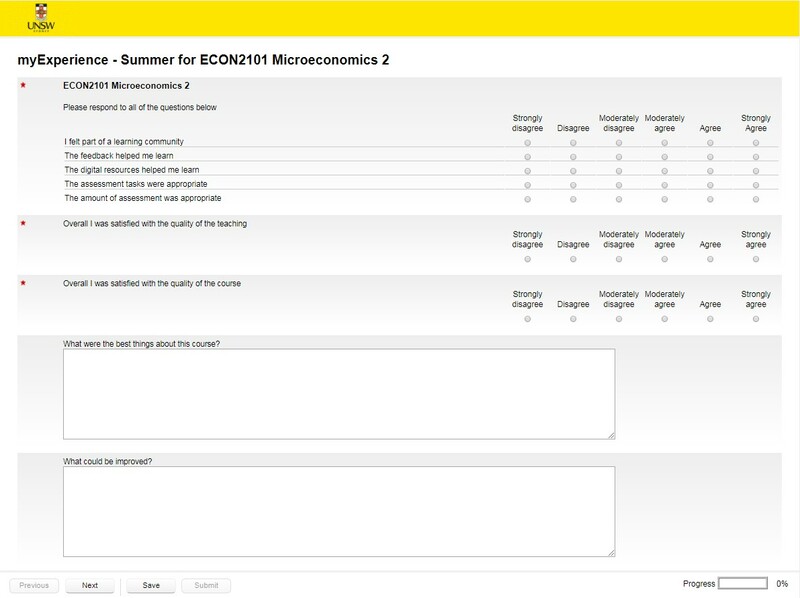 The Course Questions page will always be presented first to students, once they have selected a course from their list. 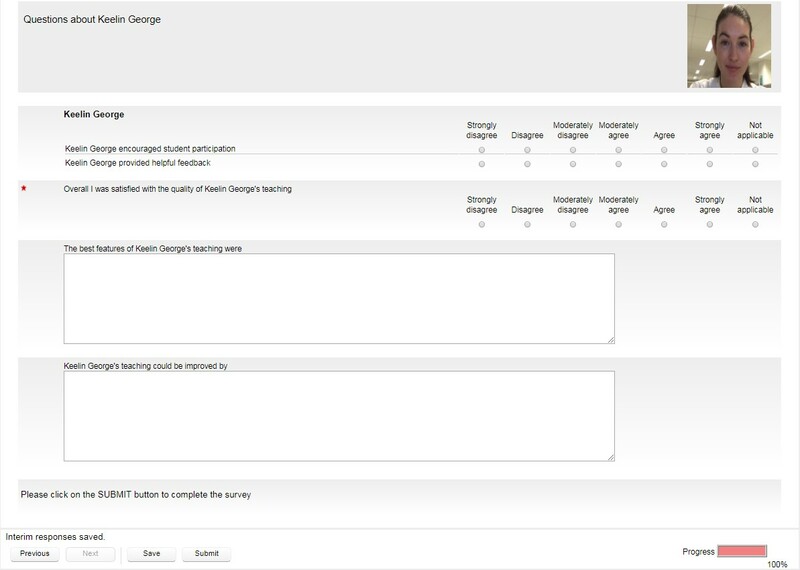 The Instructor Selection screen will then be presented, inviting students to select their relevant instructors. NB - Lecturers will be selected by default, and cannot be de-selected. The student will then answer questions about their instructors on the Instructor Questions page. 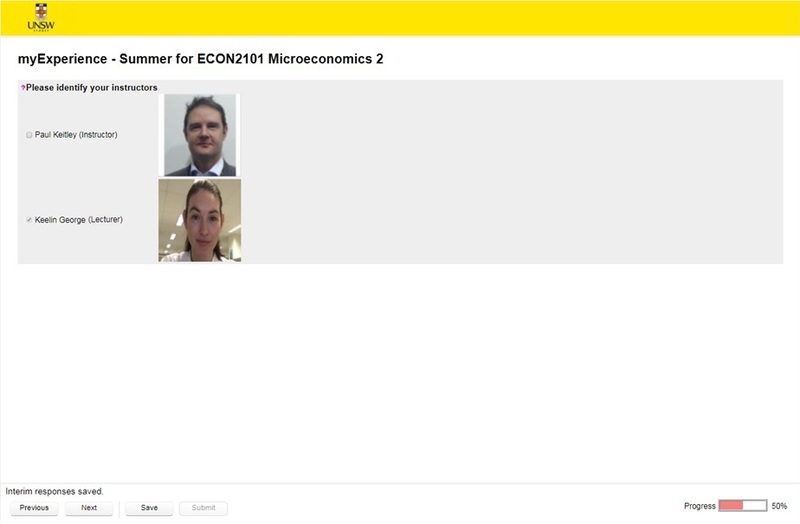 If multiple instructors were selected, they will all appear on the same page. Information about adding a Course or Teaching question to the survey is located on the Adding additional question page. You can also request additional questions be added to the Survey Question Data Bank by emailing the request, containing the text of the question/s and a short explanation as to why you feel the question is necessary, to the myExperience team at myExperience@unsw.edu.au. See the Question bank page for more information.